New boss Alan Stubbs is banking on his high standing in the game to swing the battle for Premier League loan talent in Rotherham United’s favour. Stubbs came close to an England call-up in his playing days with Bolton Wanderers, Everton, Celtic and Sunderland and has won praise for the way he has nurtured young talent since moving into coaching and management. 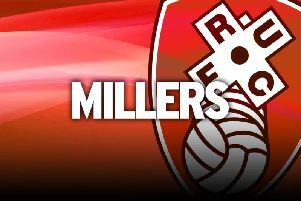 That will make the Millers an attractive proposition for top-flight clubs looking to give some of their players game-time in the Championship. “I have a reputation for developing players and I’m hoping it works in our favour,” said the 44-year-old who took over the hot-seat last month. Rule changes have brought short-term loans to an end, with clubs now having three options - to take loanees for an entire season, from the summer transfer window through to January or from the January window until the end of the campaign in May. Stubbs, bidding to build a squad pushing for the top 10 next season, believes that could play into Rotherham’s hands. “A lot of Premier League clubs will be loaning players out and they will now be choosing very carefully where they go,” he said. “Six months is a long time. They will be concerned about what type of club they’re sending their players to. “Man-management will be important, and I’d like to think that is a strength of mine. The manager began his Millers recruitment last week by landing winger Anthony Forde from Walsall and plans further strengthening with a mix of loan signings, permamanent deals for players at other clubs and free agents.